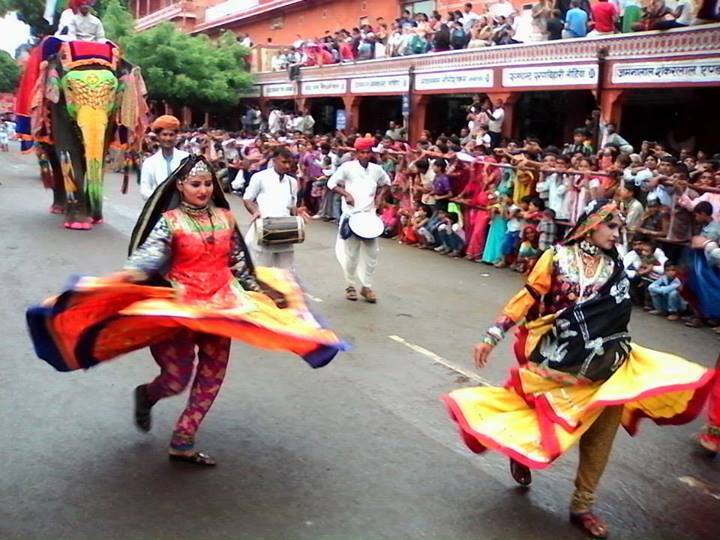 Teej Procession attracted scores of tourists in the Pink city. Organized with great verve and vigor, the vibrant procession of Teej on its first day was witnessed by hundreds of tourists, the travel fraternity and a huge local populace. The procession began from Tripoliya Gate (City Palace), meandering its way through Tripolia Bazar and Chhoti Chaupar, Gangauri Bazaar to wind up at the Ponderik Park near Chaugan Stadium. There were camels, horses and cultural performances like Kachchi Ghodi, Gair, Kalbaliya and chakri dances entertained the spectators. The procession also included beautifully decorated cannon carriage, bullock carts, horse carriage and decorated chariots accompanied by a number of performing bands. 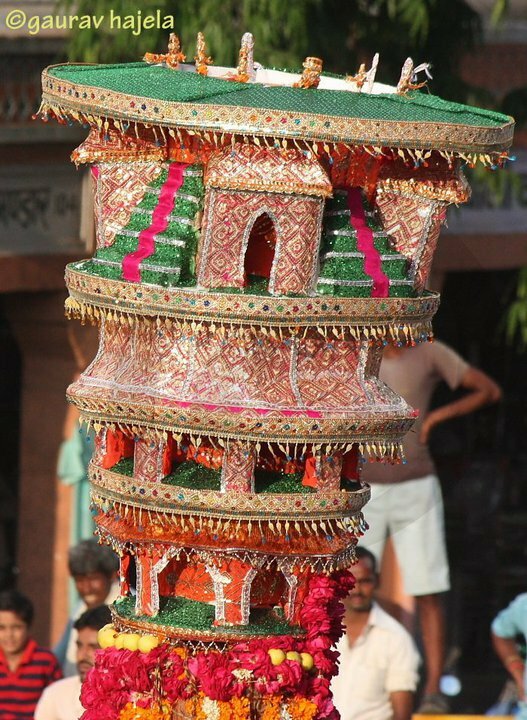 The Sawari of Goddess Teej (Mata Parvati) was at the end followed by chobdar and traditionally dressed women with brightly decorated earthen pots on their head. 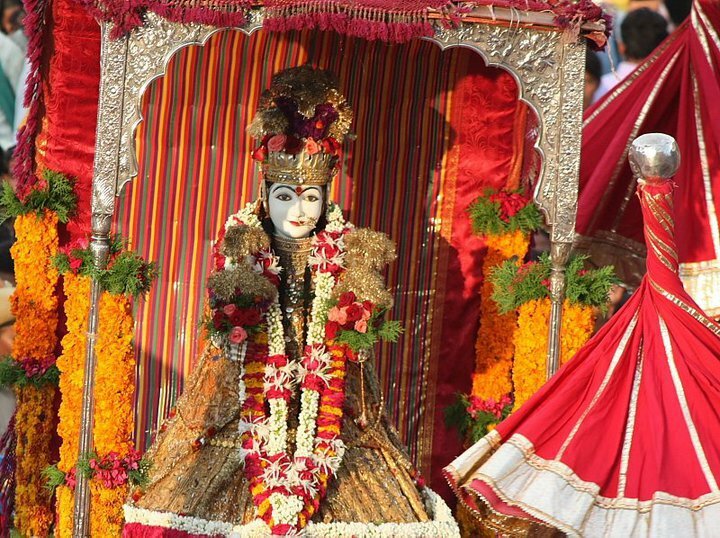 One of the major tourist attraction in Jaipur-Rajasthan, Teej Festival every year is marked by Hindu women to worship Goddess Parvati for marital bliss, well being of spouse, children and purification of one’s own body and soul. 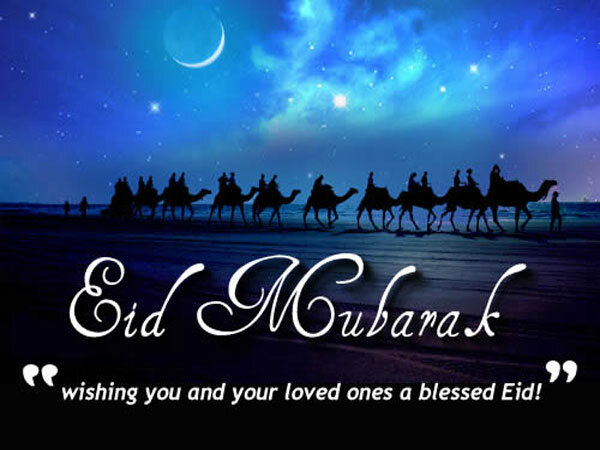 The auspicious month of Ramadan comes to an end and marks the important festival of Muslims – Eid-ul-Fitr. 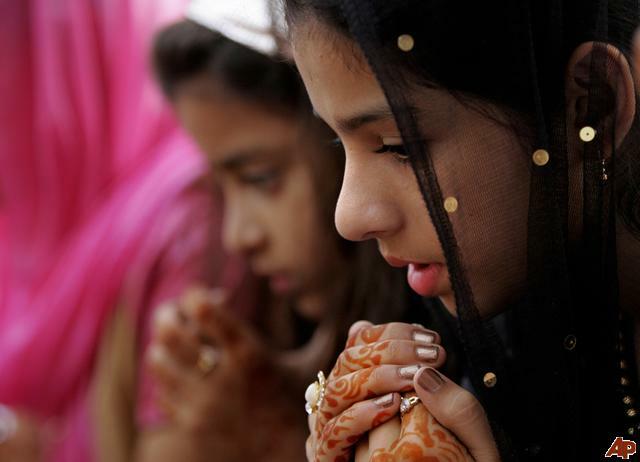 Eid will be celebrated today, July 29, 2014 across India. 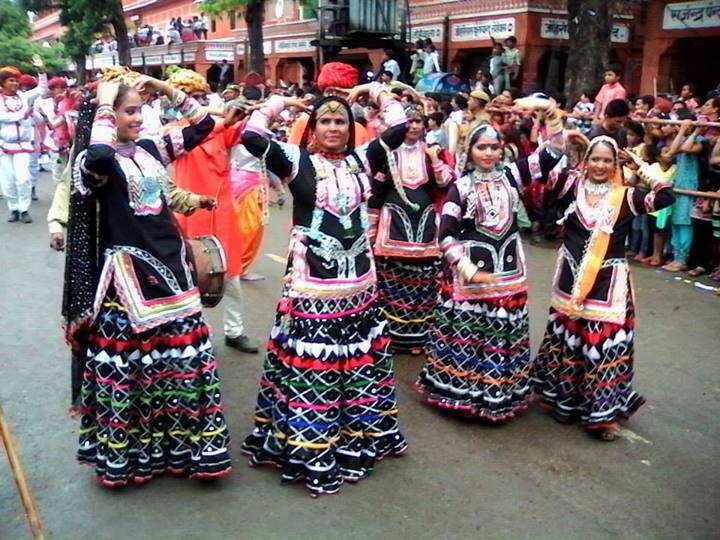 Rajasthan being a colorful state celebrates Eid with great fervor and enthusiasm. 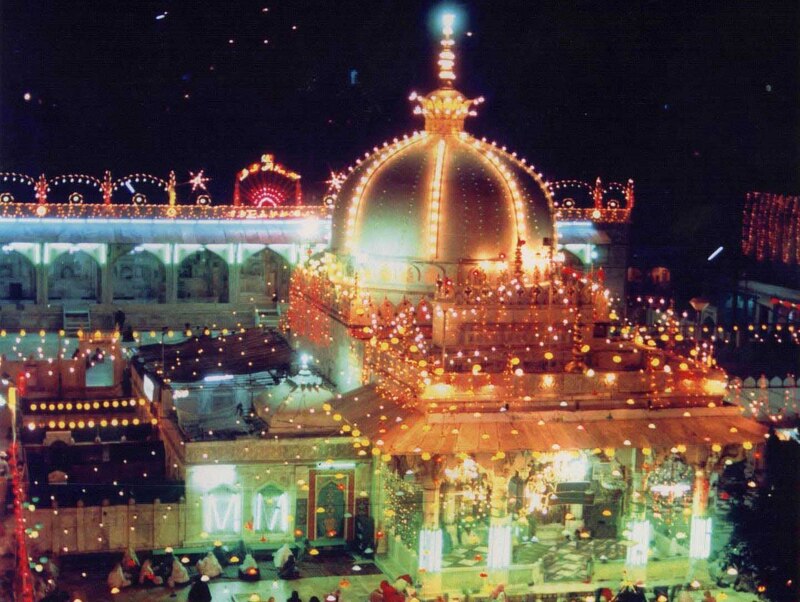 The famous shrine of Khwaja Garib Nawaj in Ajmer is the epicenter of Eid celebrations and festivities. On the occasion of Eid, Muslims gather together in Mosques to pray together; which is then followed by a short congregational prayer. Eid-ul-Fitr is celebrated on the first date of Shawwal that is the tenth month of the Hijra calendar. During the day of Eid, Muslims exchange gifts and greetings with each other as a mark of brotherhood and solidarity. 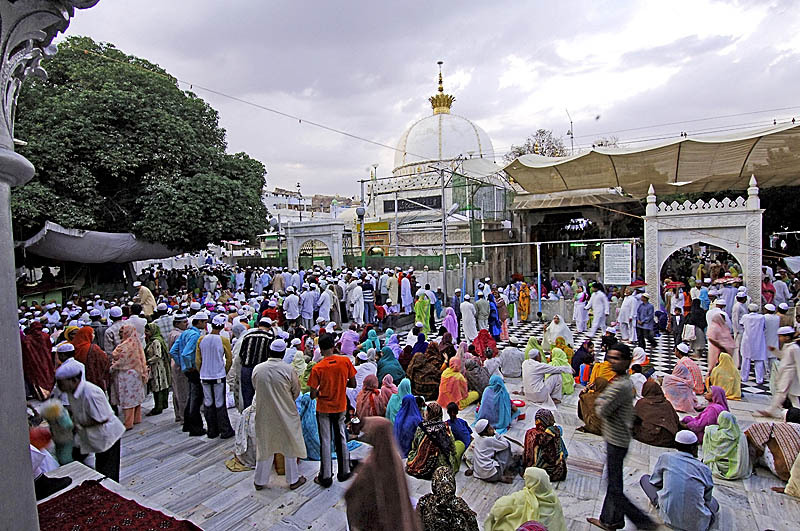 Devotees flocked to Idgahs in and around the city but it is the shrine of the Sufi saint where a large crowd will be seen from early morning to enter the Jannati Darwaja, which is every year opened specially on the occasion of Eid. In Ajmer-Rajasthan, Eid is not just confined to Muslim community but different communities come to dargah for offering prayers and they exchange greetings among each other with ‘Eid Mubarak’. 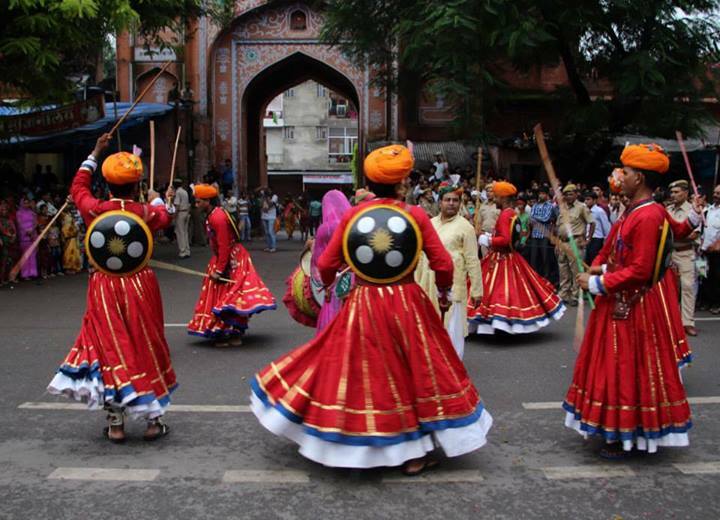 No better way to experience the vibrant culture of fascinating Jaipur than attending one of its many festivals. 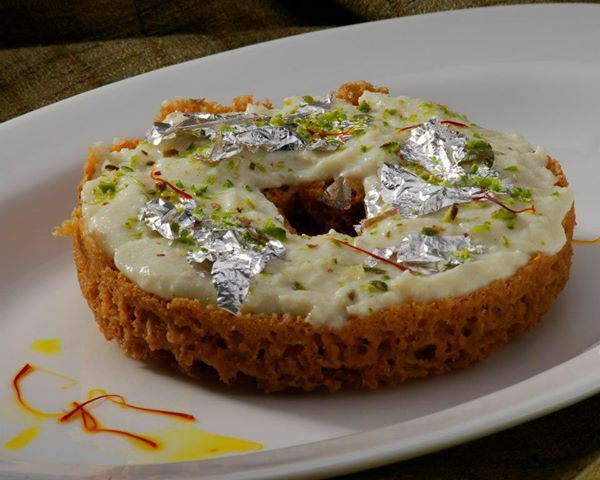 Teej Festival though, is celebrated all over the state, but celebrated at its colorful best in Jaipur. The festival is fêted to welcome the advent of monsoon, also dedicated to Goddess Parvati and commemorates the day when she was united with Lord Shiva after a penance of a hundred years. 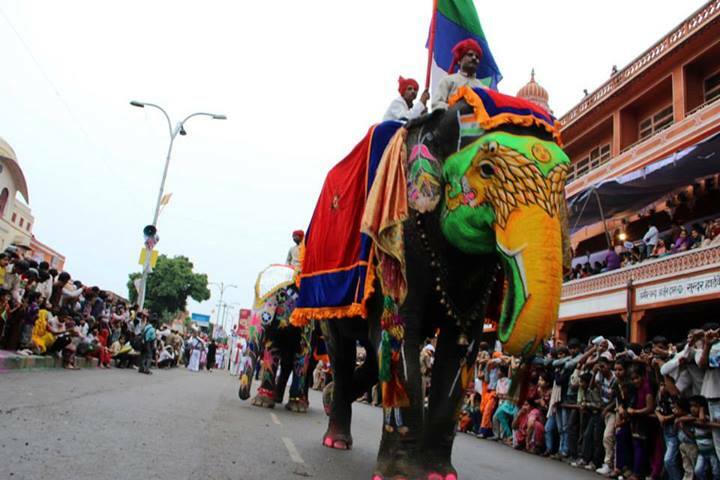 The mesmerizing procession of Goddess Parvati winds magnificently through the Old City of Jaipur with chariots, elephants and dancers for two days. 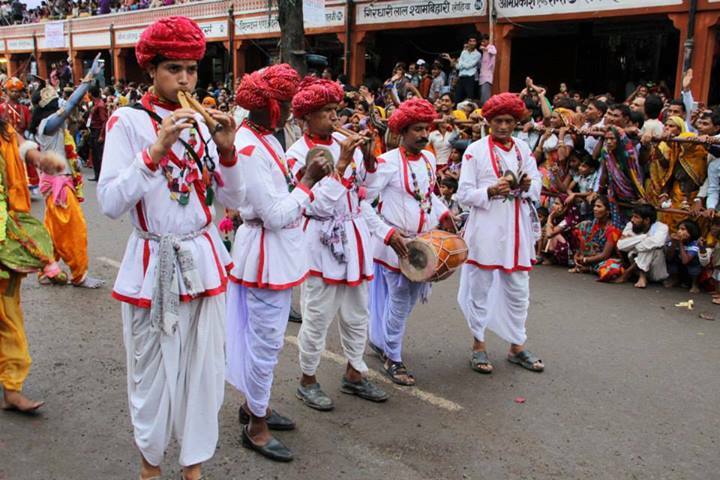 Other than the traditional procession of Goddess Teej, to showcase the charm and culture of Rajasthan this year ‘Taal Katora Ki Paal’ will also be the hub of a large number of folk and cultural events. Where locals and tourists can enjoy the cultural activities besides enjoying the wonderful sight of colorful 80 ft. fountains at Pondrik Uddyaan. Later the Teej idols will be submerged at Taal Katora pond. The tempting aromas of Ghewar being cooked on sweet shops, colourful lehariyas, and blossoming flowers and women folks decked up in their traditional best add more colours to the essence of jovial season. 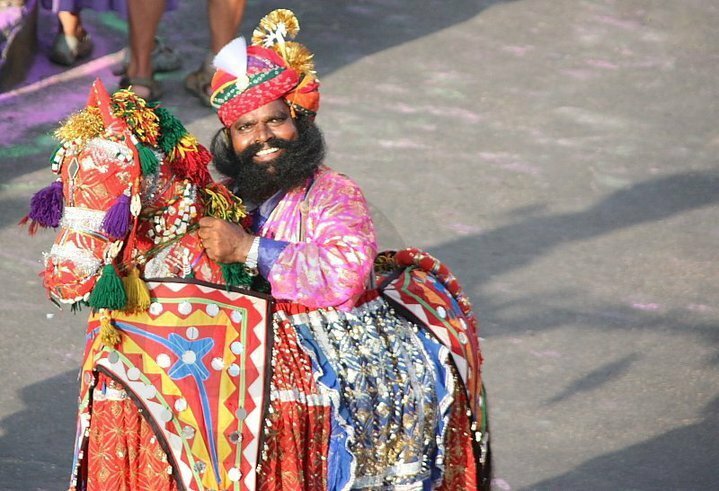 The government of Rajasthan state arranges a special seating area for foreign tourists, for comfortable viewing and to photograph the procession from the terrace of the Hind Hotel opposite Tripoliya gate. If you are in India around that time of the year, you should try to make arrangements to attend and experience this festival. Must Shop– Special tie and die pattern, called LEHARIYA, is only available at this time of year in the shops. Wide variety of handicrafts also available. Rajasthan is a beautiful state with regal heritage and splendid architecture and Rajasthan’s tourism is built on the pillar of its enchanting heritage and the hotels in the category are windows into the royal and colorful past. 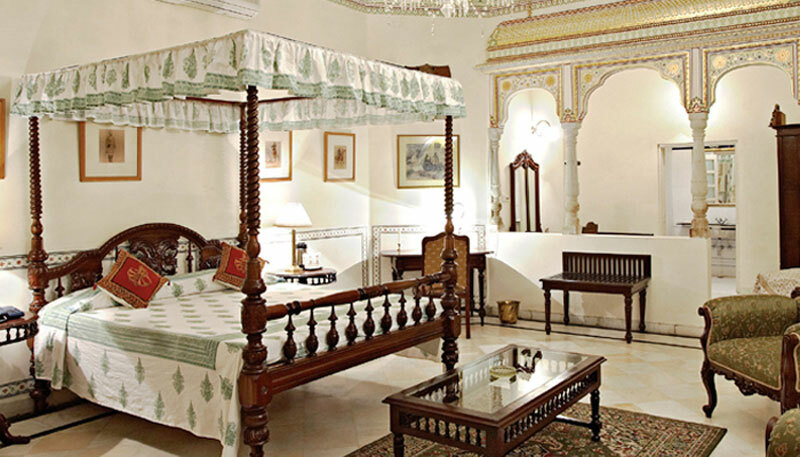 The recent budget announcement by Rajasthan’s Chief Minister Vasundhara Raje to reduce taxes on heritage hotels brought a good wave of happiness in Rajasthan Heritage Hotel circuit that has been traditionally the backbone of the state’s economy. In the budget announced on Monday, Raje reduced VAT for basic category of heritage properties from 14% to 5%. This segment of properties constitutes majority of heritage properties, although there are many hotels in ‘Classic’ and ‘Grand’ categories. In order to encourage rural tourism, she has exempted all guest houses with up to five rooms from luxury tax. 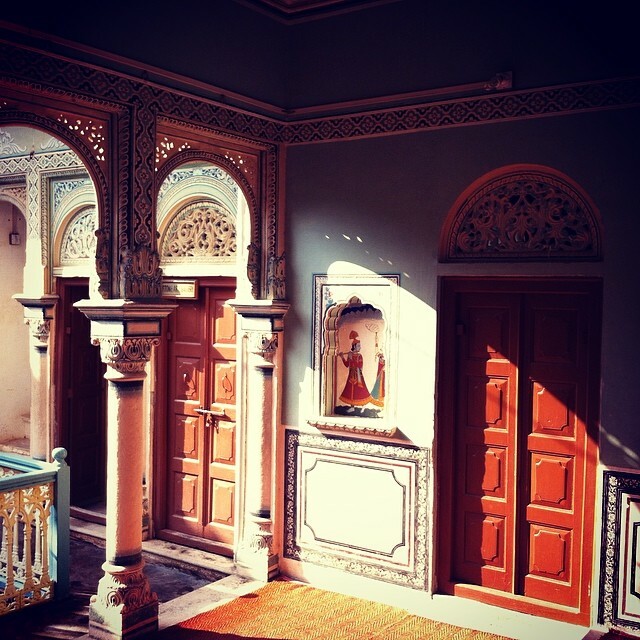 Rural Rajasthan is dotted with small, old havelis. The thrust on rural tourism will also create new opportunities for people like folk artistes, camel and horse owners as rural areas of Rajasthan offer fabulous places and experiences for the tourists to enjoy on their Rajasthan Tour. Raje also reduced luxury tax on these heritage properties during off-season from 5% to 4% keeping in view of the harsh summer when tourists flow into the state comes down dramatically. We hail the measures as all these tax relief extended in the budget will bring some relief to the heritage properties to offer you much extended facilities at appreciative tariffs in Rajasthan. Come August, Jaipurites will now have happier reasons to fly to South India. 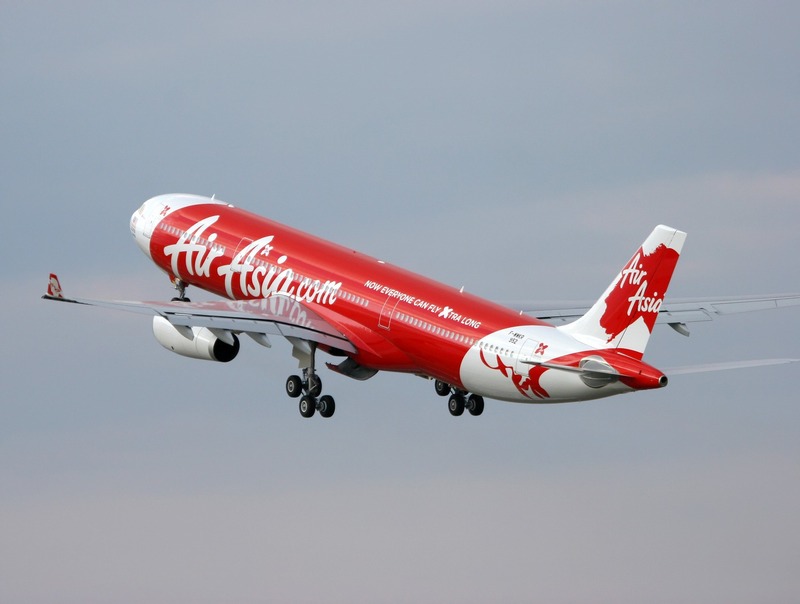 Promoted as the lowest-cost airline, the Air Asia will begin its Jaipur – Bangalore flight from August 25, 2014. The flight would reach #Jaipur from #Bangalore at 12:20 pm and leave for Bangalore at 12:55 pm every day. The tickets are available at all the major flight booking sites! The vibrant and colorful Rajasthan is a traditionally and culturally rich state of India which is visited by a large number of tourists from India and from different parts of the world. Vacations in Rajasthan have always been an enriching experience for the state has a mélange of events and activities to enthrall its tourists. 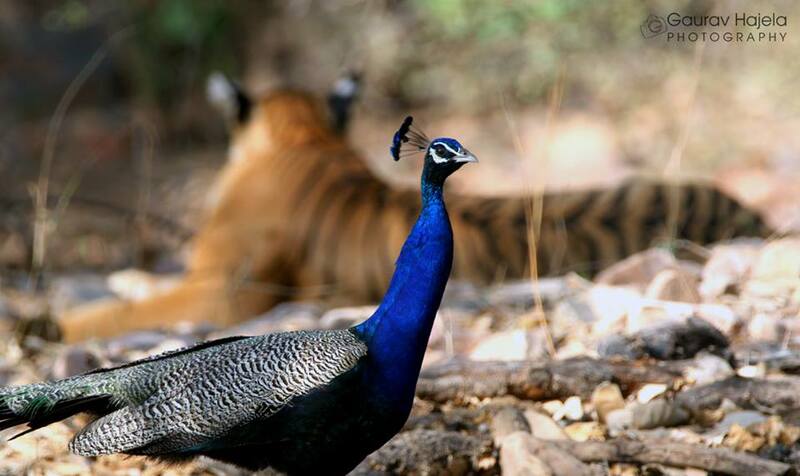 One of the most beautiful and lavish places on earth, Rajasthan is famous for numerous reasons. 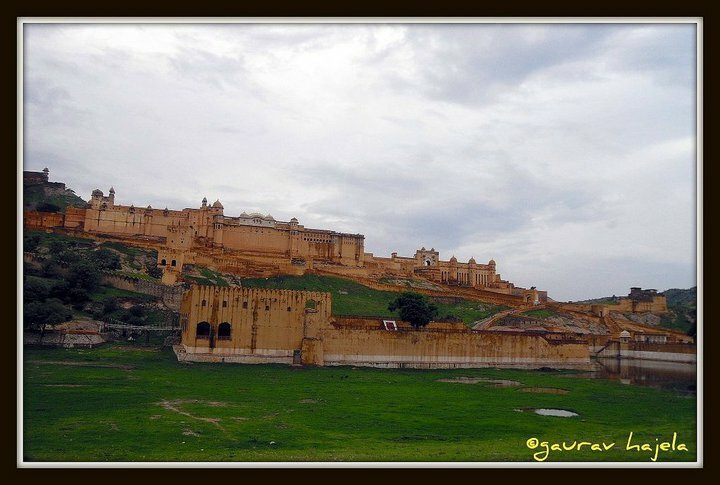 The state is covered with ancient palaces, temples, havelis (mansions) and forts. The different places of tourist interests along with its picturesque beauty have made Rajasthan an international tourist destination. 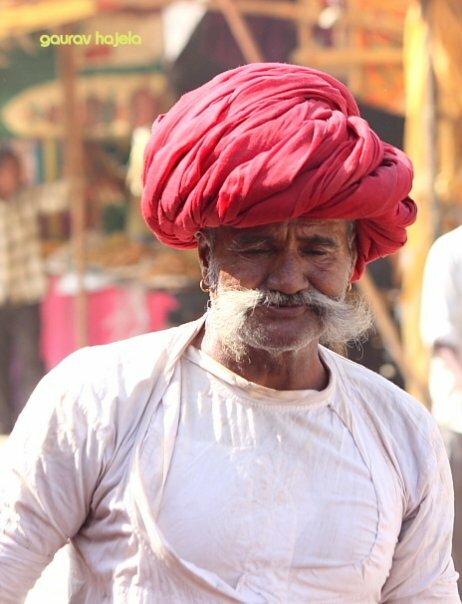 Comprising of different cities with their unique feature, identity and specialty Rajasthan presents an inter flow, as if a junction of multiple cultures and traditions. 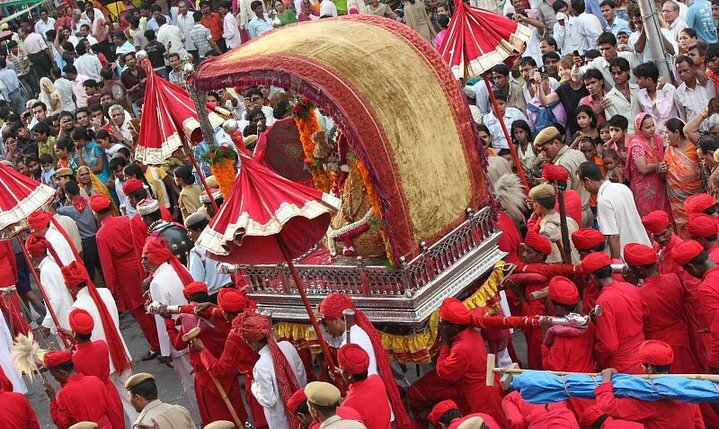 The festival season in Rajasthan is kick starting once again !! 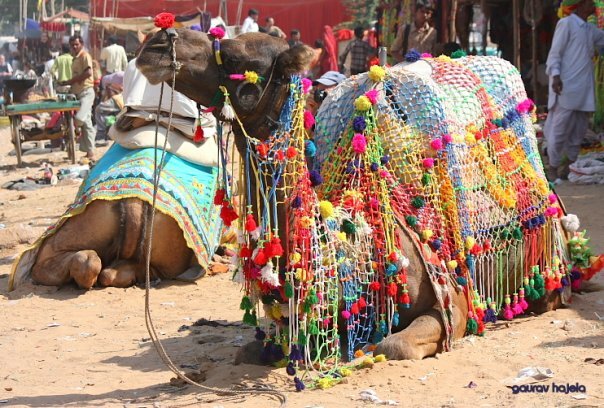 Our endeavor is to introduce you to these multicolored destinations in Rajasthan through our blogs on Rajasthan Tourism Buzz . We introduce you to each and every city and destination which is worth a visit and depicts the beauty alongside tales of Royalty lived in the era of Rajputana and beyond. 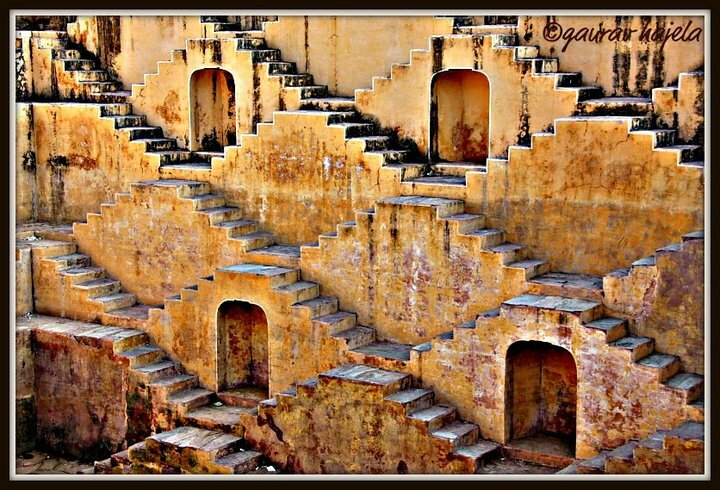 You would be virtually taken to those magnificent destinations in Rajasthan through our blogs. Not only this, We would continue to constantly update you with the current celebrations, events and festivals happening in all the cities of Rajasthan which you may plan to attend and enjoy! !